Streamlining and Optimizing School Meal Systems. Nutritious and tasty recipes everyone will enjoy! 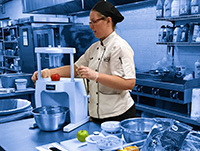 Think of the K-12 Culinary Excellence Team when planning your conference, staff workshop, or a smash-up of school nutrition professionals with other stakeholders in your district. Number of participants is not limited. 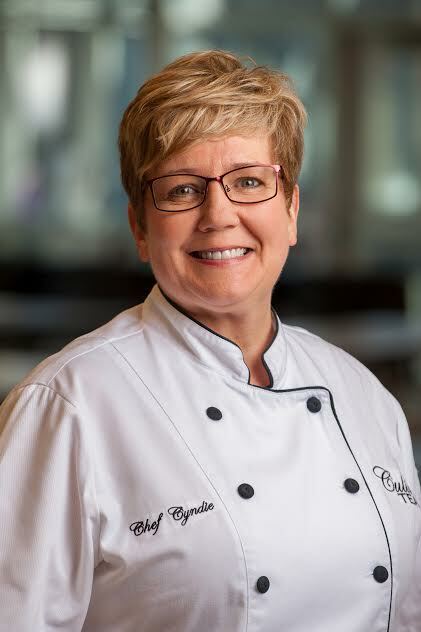 Chef Cyndie has a PhD in Food and Lodging Management obtained through Iowa State University’s Child Nutrition Leadership Academy. 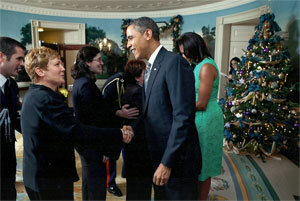 She is a Registered Dietitian and culinarian working primarily in school foodservice since 1989. 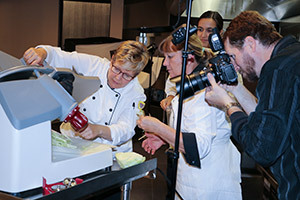 Chef Cyndie has presented numerous hands-on and demonstration-style food production and food safety classes throughout the U.S. Her specialties include quantity food preparation, recipe development, food safety, work simplification, fresh produce fabrication, nutrition, and merchandizing techniques that encourage customers to make healthier choices. Chef Cyndie knows the importance of exceptional food quality, presentation, and safety. Call Chef Cyndie today to bring her knowledge and skills to your organization. "Thank you so much K-12 Team for traveling to all of these NC workshops to provide such fun, awesome trainings." Plus, numerous local large, medium, and small school districts throughout the U.S.